On foreground is The African emerald cuckoo (Chrysococcyx cupreus). It is a species of cuckoo that is native to Africa. 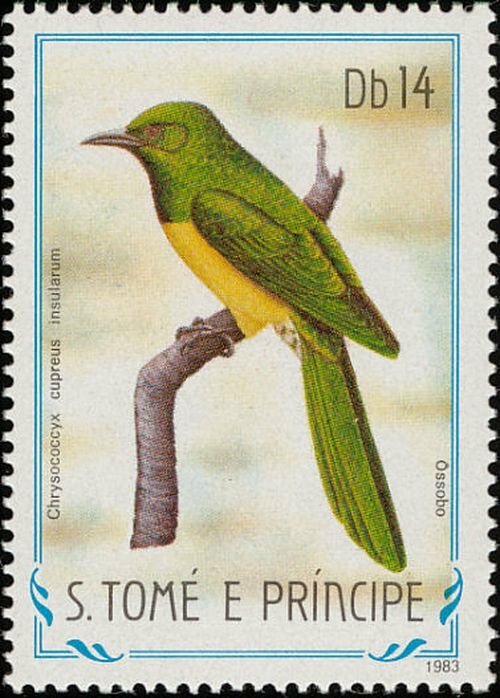 As a member of the Chrysococcyx genus, the African emerald cuckoo is an Old World Cuckoo. There are four subspecies, namely C. c. cupreus, C. c. sharpei, C. c. intermedius, and C. c. insularum. 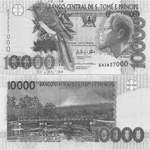 Its range covers most of sub-Saharan Africa, including Angola, Botswana, Burundi, Cameroon, Central African Republic, Republic of the Congo, DRC, Ivory Coast, Equatorial Guinea, Eritrea, Ethiopia, Gabon, Gambia, Ghana, Guinea, Guinea-Bissau, Kenya, Liberia, Malawi, Mali, Mozambique, Namibia, Nigeria, Rwanda, São Tomé and Príncipe, Senegal, Sierra Leone, South Africa, South Sudan, Swaziland, Tanzania, Togo, Uganda, Zambia, and Zimbabwe. 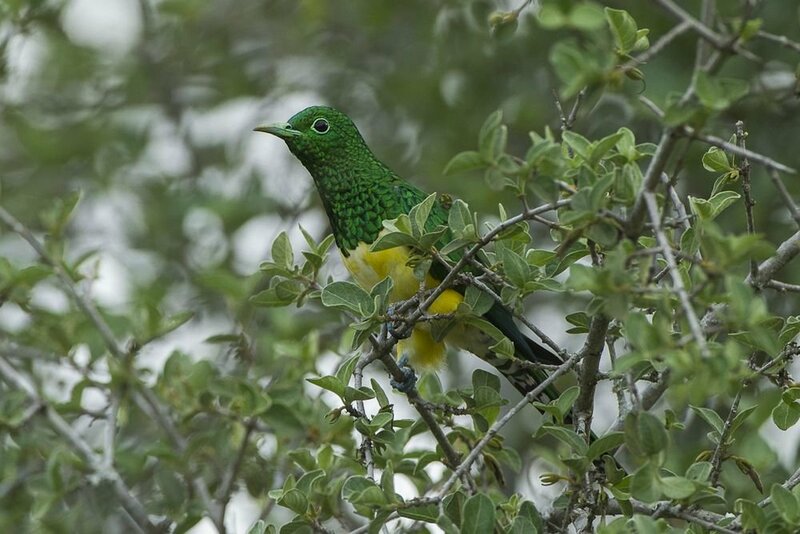 The African emerald cuckoo is sexually dimorphic. The males have a green back and head with a yellow breast. Females are barred green and brown on their backs and green and white on their breasts. 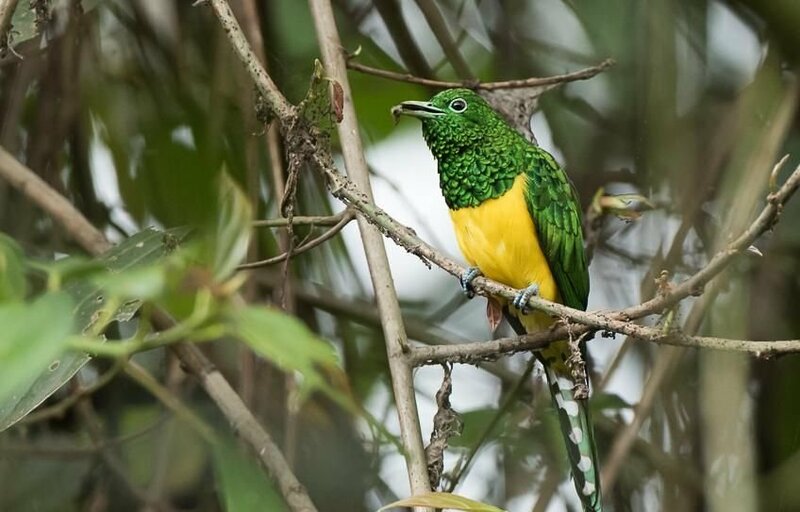 The African emerald cuckoo can also be identified by its call, a four-note whistle with the mnemonic device of "Hello Ju-dy." The bridge on Principi island (Ponte do Papagaio), near the Pico Papagaio (680 meters). The 1999 expedition was by members of Ecofac, a Non-Government Organization that plans to assist in conservation through helping to develop ecotourism on the island. The ecology of the forests on and around the mountain has not been well-researched, but some endemic species of birds and orchids have been found, and it seem clear that there are many endemic plants and insects. 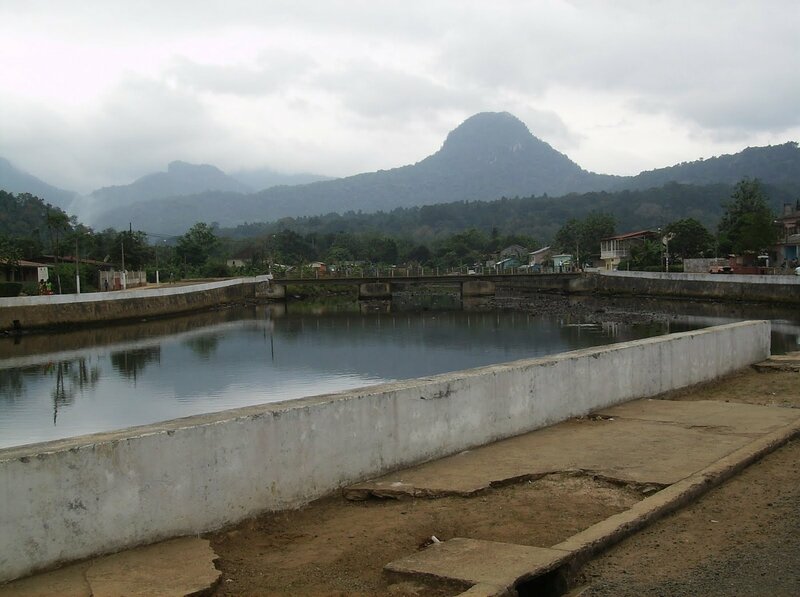 A proposed conservation zone covering one third of Principe would include this mountain and three others higher than 500 m.: Mesa (537 m.), Pico Papagaio (680 m.) and Pico Mencorne (921 m.). 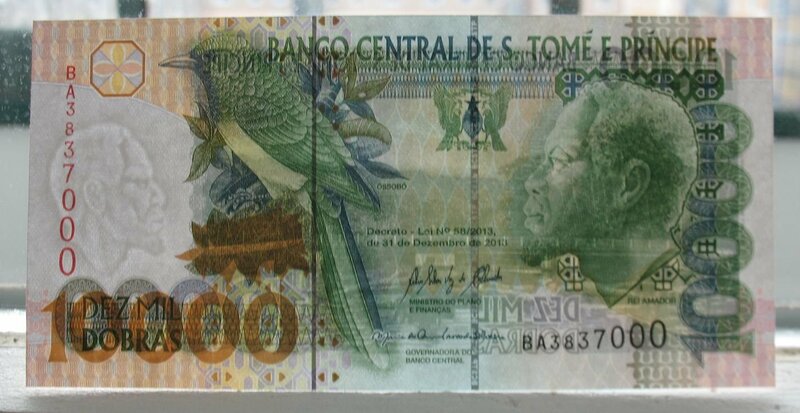 28 species of birds have been recorded in the area, of which seven are endemic to Principe and four are of global conservation concern. Other endemic species are the skink Feylinia polylepis, the burrrowing snake Typhlops elegans and the frog Leptopelis palmatus. An endemic sub-species of the shrew Crocidura poensis is also present.